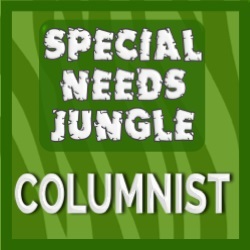 A while ago, Elizabeth and I did two guest posts on the Special Needs Jungle website about how to get the most out of your child’s speech and language therapy assessment. You can read those posts here and here. Once your child has had an assessment, your speech and language therapist will probably write a report. I have been writing reports for 10 years now, and I hope I have become better over time at writing in a way that is clear to whoever is reading it. However, the nature of a report is that you do tend to use a certain amount of technical jargon, and I know that this can be confusing. This is particularly true if the report is being used for the Statementing process. Sometimes what the therapist thinks they are explaining clearly may not be clear at all to someone else. It’s rather like when I take my car to the garage, and the garage man is trying to explain to me what’s wrong with it. He probably thinks he is speaking really clearly, and often it makes sense to me while he is speaking, but if I try to explain it to my husband later, I find I didn’t really understand well enough after all, and I can’t tell him what’s actually wrong or why! If in any doubt get back to your speech therapist and ask. 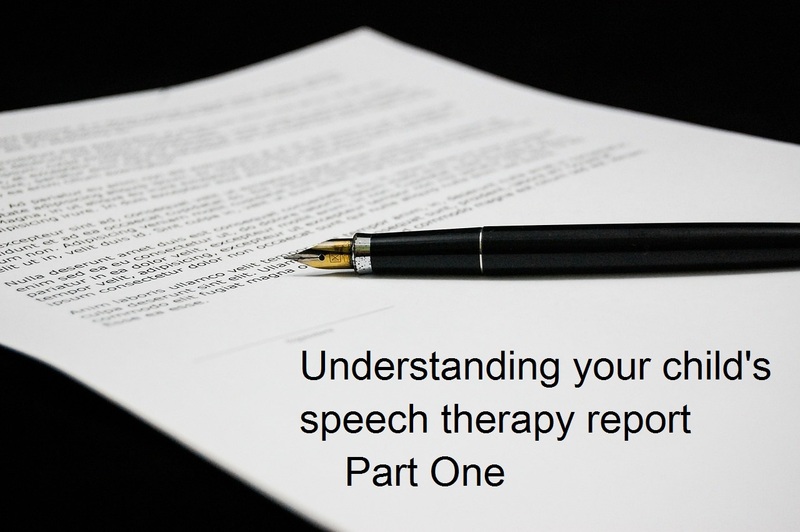 This is the first of a series of posts hopefully explaining some of the terms you might see in your child’s speech therapy report. Reports, especially longer ones are often split into sections. These sections represent different areas of communication that the therapist has looked at. Your child’s report may include comments on some or all of these areas. Attention and Listening – this refers to your child’s ability to focus on what is being said to them. This is a pre-requisite for many other language skills – if your child is not able to focus and listen they are likely to have some difficulties with understanding for example. Attention and listening skills can be different in different situations – 1:1, in a small group etc. so the therapist may talk about the differences between your child’s ability to listen in these different settings. Find out more about attention and listening here. Verbal comprehension – this refers to your child’s ability to understand what has been said to them. In real-life situations, we all use other things to help us understand as well as spoken language – watching others, tone of voice, gesture etc. The SLT (speech and language therapist) will try to see how much your child can understand when these clues are taken away and the child just has to respond to what has been said. There are lots of aspects which make up verbal comprehension – find out about them here. Expressive language – this is the words and sentences that your child uses. The SLT may talk about how many words your child uses, whether they use other things as well as words to communicate (gesture, pointing etc. ), and how well they are able to put sentences together. Again there are many aspects involved within expressive language – find out more here. Phonology – this is the clarity of the words your child says. The therapist may talk about certain patterns in the way your child pronounces words (for example, they may tend to say “t” instead of “c/k”). They may talk about the beginnings, middles and ends of words, as sometimes the pronunciation can be different depending on where in the word the sound appears. They may also talk about “connected speech”. This refers to how the words sound when the child is putting sentences together and talking naturally, rather than just saying single words as they are often asked to do in an assessment session. 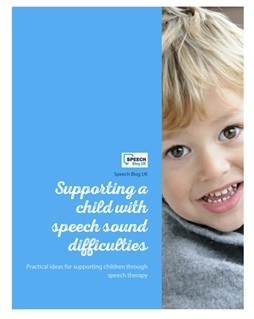 Find out more about the speech sounds portion of the report here. Pragmatics/social skills – this refers to the wider aspects of communication. There are a lot of things included within the area of pragmatics and social skills such as eye contact, understanding and using facial expression, ability to hold a conversation, ability to read social situations and interaction with adults and other children. Find out more about this here. These are the main areas that your child’s report is likely to focus on. Your child may have a difficulty in only one of these areas or in several, and hopefully the report will make clear which of these broad areas are causing a problem for your child. We’ll look at each area in more detail another day. Are there any terms you’ve seen in a speech therapy report that you didn’t understand? Do let us know and we’ll try to cover them. You can read the next part of this series (which focusses on attention and listening) here. Thank you for these very informative posts. My son has Receptive Language Disorder, and it never occurred to me before that even if he understands an instruction in one setting, he may not understand it in a different setting. That helps me a little more to understand why he doesn’t always understand the same instruction twice. Hi Dawn, thanks for your comment. I’m so glad you found the post helpful. It can be puzzling at times to work out what has confused a child with a language disorder, and why they understand one day and not the next, but I think context definitely plays a large part in it. It’s very common for a child to have partial understanding of a word or concept, but not have fully grasped it yet. Do let us know if there’s anything in particular you’d like us to write about in future. I would be very interested in learning more about Receptive Language Disorder. I see it every day and how it affects my son but I find it very difficult to find any information on how to deal with it. I have seen a CAMHS specialist before and didn’t have a great experience. Don’t get me wrong, the man we saw was lovely but to be told to “look it up on Google, because we don’t have the funding” wasn’t exceptionally helpful!